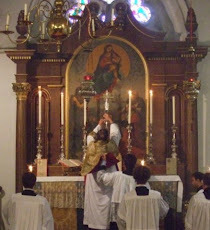 Fr Hunwicke's Mutual Enrichment: Drunk on MUST? On an unrelated topic, please tell me what you thought of the Presiding Bishop's sermon at the royal wedding this past weekend. Personally, I thought it was out-of-place: it sounded like a civil rights speech--a speech that has no place at a wedding. Must begins to ferment more or less immediately, so it is certainly possible, at a certain point, to get intoxicated from it. "Quod barbari non coinquinaverunt, stupraverunt Barberini." What a turn of words! I wonder what our hymnarium would look like if you were born 400 years earlier, Father. However, us being contemporaneous with you means that we can enjoy this premium blog for free, every day! Father, how do get hold of the breviary hymns in their pre-Urban VIII texts? Do you use the breviarium monasticum? Or is there a hymnal which has them in liturgical order? Those liturgical companions I have seen, such as Britt, use the revised texts. Literary anthologies often have the original texts, but not arranged liturgically and so with omissions. Mr Barber, you may find helpful the insert "Hymni Antiqui", published by "Nova et Vetera", which accompanies their edition of the breviary. I don't own that insert but I do have the breviary, which is itself clear and quite sturdy, though not without the odd misprint (little things like "tamem" instead of "tamen"). I would expect the hymns to be of similar quality. Father Hunwicke, you know more than I do about the language. But, strictly speaking, is it not the "crapula" on which they are supposed to be drunk - perhaps a sort of alcoholic resin, which you might add to just about anything? Resinated wine must surely have been popular, perhaps more popular than the stuff we would touch... A quick dive into the concordances suggests the hymnographers would have had to dig up Pliny for this sense, and yet Ambrose (and Isidore) certainly read Pliny, and he himself is only reproducing winemakers' jargon. The meaning of "gleukos" itself seems to be up for grabs - Menander means something partially fermented by it, but often it is unfermented (Plutarch, Nicander etc.). But, seeing that the Essenes held their "new wine" festival 100 days after Passover, the likelihood that any unfermented or even partially fermented must whatsoever was available at Pentecost-time seems nil. I don't believe the ancients had any means of arresting wine at a certain stage of fermentation, other than drinking it! If neither sense really works in the context, do we then think that what is referred to by both the "gleukos" of the NT and the "mustum" of the hymn is precisely this alcoholic resin, which is made from boiled-down must and which presumably could be kept as long as you like - and did Urban VIII, by deleting the word "crapulam", deny this all-important Christian truth to every future generation? I do have the Hymni antiqui, but this convenient little pamphlet contains only about half the hymns in my breviary. Thanks for the link Ivan.